A protein rich recipe for your family with stir fried cilantro would be a perfect snack option. 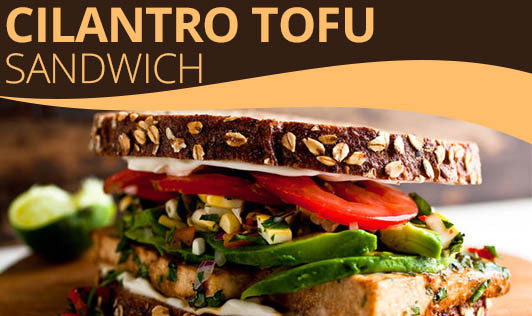 This is an easy and healthy sandwich recipe for all. 1. Add cilantro chutney ingredients together and grind. 2. Take one slice of bread and apply 2/3 tbsp of tomato ketchup. 3. On another slice, apply cilantro chutney. 4. On the ketchup slice of bread, place the tofu slice, then tomatoes, then onoin and lastly, put the potato slice and sprinkle with black pepper powder and salt as required. 5. Now cover with the slice, with cilantro chutney. 6. Roast them in a sandwich maker. Cut diagonally and serve. 7. In the same way, prepare all the other sandwiches.